Don’t follow the usual guidelines for New Year’s Eve decorations. It is a New Year and time to regain your focus for a fantastic 2015. The first thing your guest’s see when they walk in to your home sets the tone for your party. 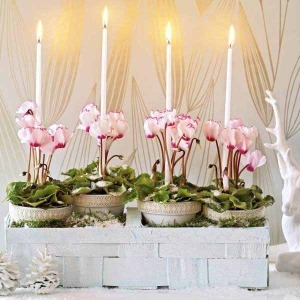 Spruce up your foyer or front door with swaths of natural plants or a stunning orchid centerpiece to ring in the New Year right. 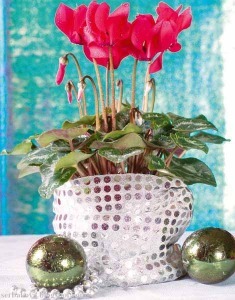 The most typical decorating for New Year’s Eve combines winter or Christmas decorations with a few party decorations. Pull some silver or gold decorations together for a display around an air plant or other leafy greenery for a classic look or combine blue and silver with a white flower such as an elegant orchid to pull off a bit more of a trendy, tranquil look. Have big hopes for the coming year? Wishing to fulfill a beach vacation dream for 2015? 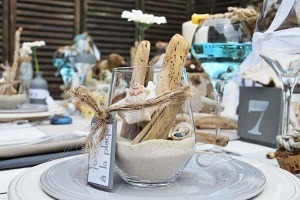 Include centerpieces of sand topped with large shells, drape fishing nets for your tablecloth, or use shell shaped plates and other beach elements and ferns or grasses on your tabletop to bring focus, and a conversation piece, to your New Year’s Eve party. Follow your creativity. Hoping for more international travel in 2015? Use maps as placemats, a sculpture of a famed landmark such as the Eiffel Tower surrounded by fresh-cut flowers and feature a menu rich in pastries, breads and cheeses. 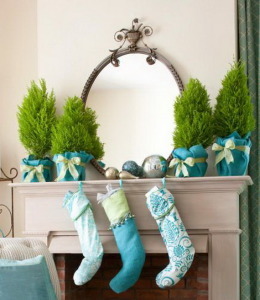 Step out into nature and bring back armfuls of simple décor ideas, such as pinecones or tree branches. Gather the cones together in a clear or opaque glass container surrounded with greenery (maybe a few branches from the back of your live Christmas tree) for a wintery touch to your New Year’s Eve décor.